The Hollandia Holiday 1 is another top notch offering from Hollandia’s stellar collection. Hollandia has had a reputation of producing quality bikes since its inception and The Holiday 1 continues that legacy. This bike comes with a Hi-tensile steel frame which offers strength coupled with durability. The ride quality on offer is quite smooth and enjoyable which makes it an ideal commuter bike. 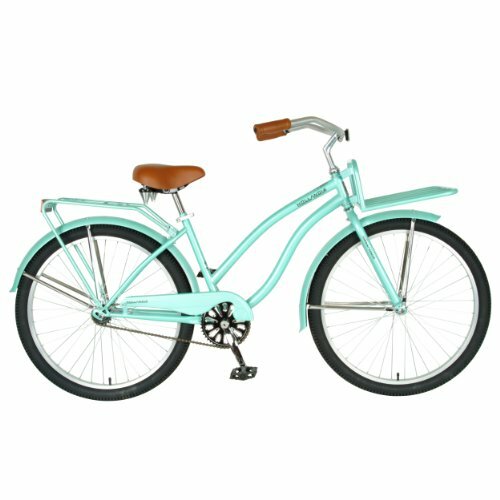 This bicycle can be used for commuting, campus rides or just for cruising along the paved city streets having some fun. The alloy rims of this bike are strong enough to handle the rough surfaces. The ride position offered by this bike is extremely comfortable and focuses on reducing the stress on the back by allowing an upright ride position. It comes with a fender to protect its components from water. Other features of this bike include a rear mounted rack and kick stand. 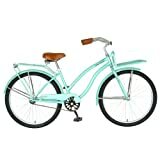 This bike offers to you a complete package of style, comfort and durability at a staggeringly low price point and if you are looking for a simple commuter bike under a small budget, then this is one of your best options. 26’’ x 2.125’’ tires which can handle the rough roads quite easily. The Hollandia Holiday 1 is a city commuter bike. The bike is fairly light and handy although it comes with a steel frame. Ride quality offered by this bike is quite stable and enjoyable. It comes with a rear mounted rack which facilitates carrying and fender which prevents parts from contact with water. A front rack can also be installed optionally. The slick and stylish looks of the bike are quite impressive. It does not ship fully assembled and the printed instructions that come with the bike are pretty useless. If you have not assembled a bike before and do not feel confident, it is best to take it to your local bike shop to have it assembled. The bike has received mixed reviews. Ride quality offered by this bike smooth although the brakes, the saddle, the pedals and the tires which ship with the bike are quite cheap and low end. Overall, the bike looks good for its price and the performance it delivers certainly pays back the money you spend on it.